The College of Film and the Moving Image (CFILM) incorporates the Department of Film Studies, the Center for Film Studies, and the Ogden and Mary Louise Reid Cinema Archives. Founded on Wesleyan’s liberal-arts tradition, CFILM fosters the study AND practice of visual storytelling. The Department offers a major and minor in film studies, hosts screenings and events, and supports initiatives like the first-and-second-year Film Workshop and the Elementary School Outreach program. Students and faculty approach the moving image in a collaborative manner that combines historical, formal, and cultural analysis with filmmaking at beginning and advanced levels. Film Studies courses emphasize aesthetics, genre, authorship, industry, and technology. 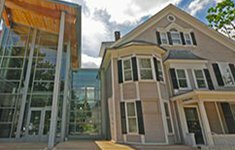 The Center for Film Studies is home to the Rick Nicita Gallery, two state-of-the-art cinemas, and the student-run Wesleyan Film Series, which provides four nights of eclectic programming every week during the semester. As the hub of moving-image culture on campus, the Center draws over 14,000 visitors to our events each year. 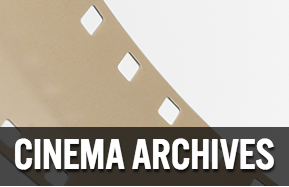 The Reid Cinema Archives collects a wide range of primary historical documents reflecting a variety of fields, and is the main repository for documentation from the careers of such historical luminaries as Frank Capra, Elia Kazan, Ingrid Bergman, Raoul Walsh, Gene Tierney, and Kay Francis, among others. Students have access to these materials, which are also used by scholars from around the world, by biographers, and by media experts. The Center for Film Studies has state-of-the-art screening facilities with over 37 years of experience in running a film series, and a nationally recognized faculty who have first-hand knowledge of domestic and foreign cinema. The Ogden and Mary Louise Reid Cinema Archives provides a home for the University's growing collections related to motion picture and television history. 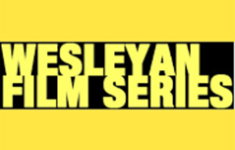 The Wesleyan Film Series is funded and run by Wesleyan students for the Wesleyan community.